Trust management systems enable decentralized authorization by searching distributed credentials from network. We argue that such distributed searching processes may encounter many technical or non-technical problems, and can be avoided by storing delegation credentials redundantly with acceptable costs. 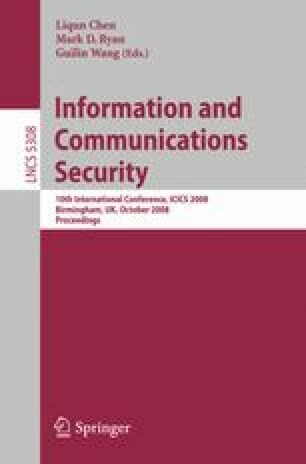 We propose a scoped-role based trust management system ScoRT, using a novel credential affiliation model to compute the credentials necessary for role membership decisions, which can be used to guide the storage, retrieval and revocation of credentials. The algorithm for distributed credential storage and retrieval is designed based on the model and its sound and complete properties are formally analyzed with respect to ScoRT semantics. Complexity analysis and estimation show that, by redundantly storing acceptable amount of delegation credentials, ScoRT enables more practical and automatic authorization without searching credentials from remote entities, and thus helps to overcome the deficiencies of existing approaches.